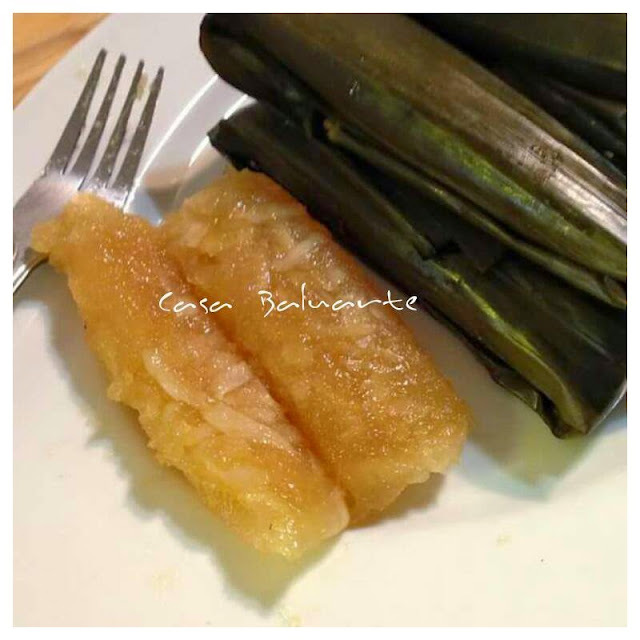 Also known as Cassava Suman and Alupi in Ilonggo. 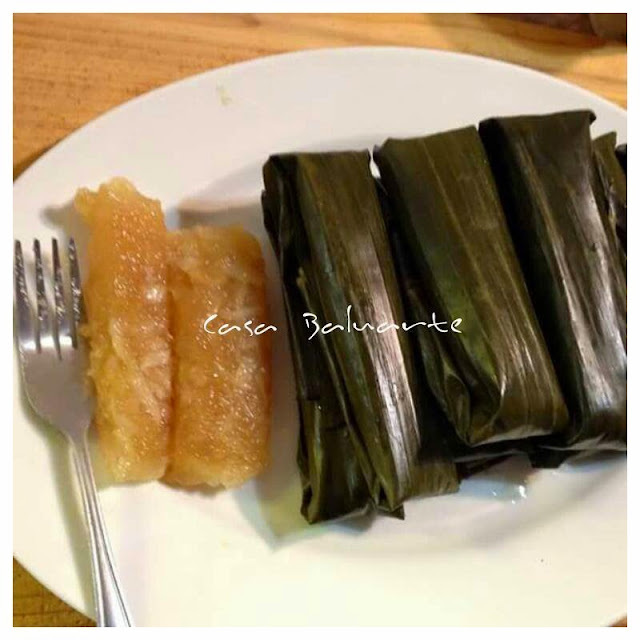 A simple recipe and steamed Filipino delicacy that is not to sweet and chewy to bite. Mix cassava, young coconut and sugar in a bowl. Rise and wipe the banana leaves. Pass the banana leaves one by one over the flame to make it easy to fold. 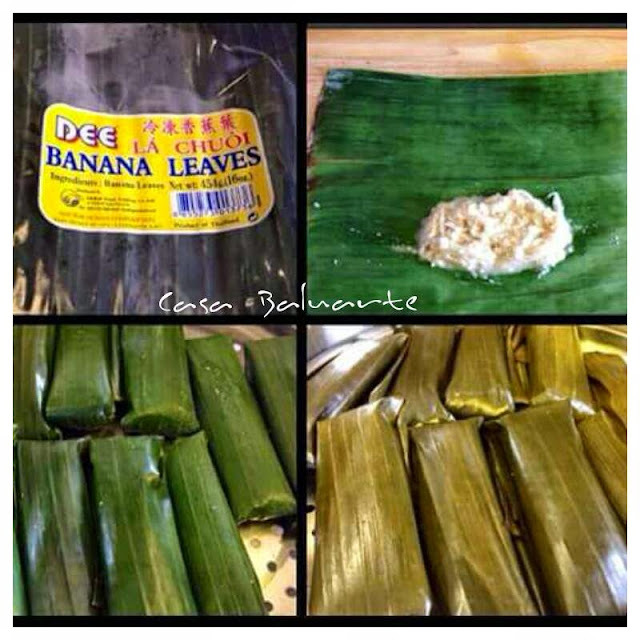 Place a piece of banana leaf on a flat surface. Scoop 1 tablespoon and a half on the banana leaf. Wrap tightly and fold both end. Arrange on a steamer and steam for an hour. Remove from heat. Allow to cool for few minutes and serve. With the mixture and measurement you can make around 10-12 pieces of cassava suman. Pwede ba yung frozen cassava grated ang gamitin instead of fresh? where do you find the young coconut? pwede yong from the bottle and its sugarred ? Kailangan bang pigain pa ang cassava? Pigain ang cassava? I would say yes para hindi watery after steaming and to remove the extra starch. Kahit one piga lang. Coconut sa bottle if I am not mistaken is Macapuno, you can use that but make sure to rinse a little in running water or reduce the sugar unless you want it sweeter.